The paloma is a great mixed drink that is fun to play around with. A perfect example of its possibilities is the spicy paloma, which brings a little heat to the cocktail in a most unusual way. Building on the paloma's foundation of tequila and grapefruit, this recipe adds the spice of Thai chile pepper through an infusion. The spirit that is infused is Aperol, a bitter orange-flavored liqueur that has seen increased attention in recent years. It's often enjoyed as an aperitif, which means this cocktail would make a great predecessor for a meal, especially if something equally exotic is on the menu! The addition of hot pepper is an interesting one and, while logic may tell you differently, it really does work in the final cocktail. To get the perfect infusion go slow, test frequently, and remember that it takes minutes not hours! Pour the Aperol into a glass or jar and add the whole chile pepper. Check the flavor after about 10 minutes. If you want it hotter, steep longer and keep checking it every few minutes. Strain through a fine-mesh strainer into a glass bottle or jar with a tight-fitting lid. Store in a cool, dry place for up to 3 months. Infusion times with hot peppers should only take minutes, not hours or days like milder infusions. It is very important to keep tasting it or the spirit will be burned with heat and become undrinkable. This can happen quickly. You can make as much chile-infused Aperol as you like but it's best to infuse only a small amount while testing to avoid waste. Even for a full bottle, it should only require one pepper. If you use more liquid, you may have to extend the infusion time by a few minutes. In a cocktail shaker filled with ice cubes, pour the tequila, Aperol, juices, and syrup. Shake well. Strain into a chilled collins glass filled with ice and a slice of grapefruit. Top with a club soda float by pouring it over the back of a bar spoon to disrupt the flow. Not a fan of spicy cocktails? 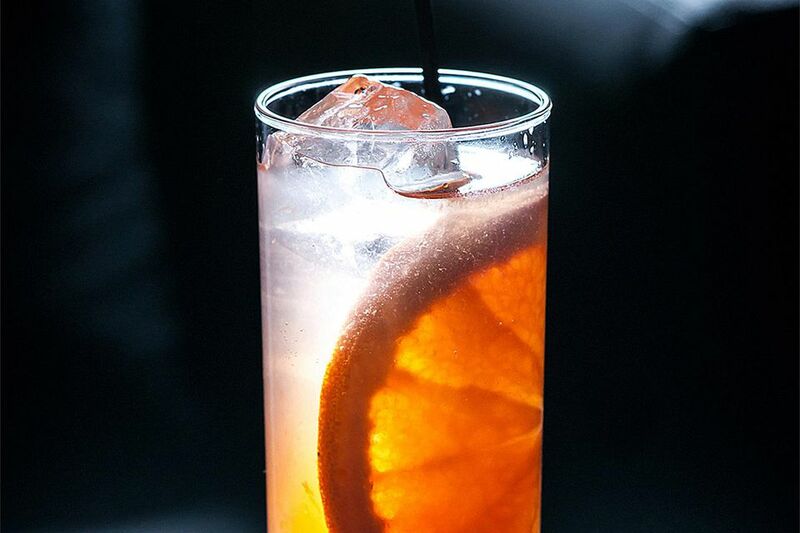 Try this paloma with regular Aperol. It makes a fine drink without the chile pepper. Like the paloma, feel free to pour a grapefruit soda into this drink. Jarritos, Squirt, and Q Grapefruit are great choices. How Strong Is a Spicy Paloma? The spicy paloma may have a bold flavor, but it's pleasantly mild when it comes to the alcohol. When made according to the recipe, it will average out to an alcohol content of12 percent ABV (24 proof) or so. That's a normal strength for highball drinks.